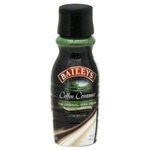 I love everyone of these creamers, this is one of my favorites , Irish cream and French Vanilla is some of the others ones. I've added this to most of my coffee's , I've added it even in my fresh milk , I would definitely recommend this to anyone if you love creamers in your coffee if not you certainly missing out on a lovely sweet but delicious taste !! This really is my go to, the flavor is sweet n nutty but not overbearing. Less is more, waste if your dumping some out of your mug to add more coffee so be mindful if that. You won't be disappointed. 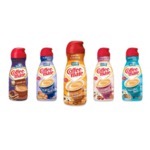 ID Southern Butter Pecan creamer has the most amazing flavor. It doesn't have the flavor that you would think. I don't think it has a nutty (pecan) taste. It's hard to explain but once you try it you will love it. I use it every morning in my coffee. I have tried their other flavors but always come back to this one. J'aime beaucoup cette marque de crème à café! Toutes les saveurs sont délicieuses mais celle-ci en particulier! Cela permet de sucrer mon café sans y ajouter de sucre donc c'est super. Je le recommande! I make it a habit of using this creamer at work! My go to creamer is usually French Vanilla. But I find the Southern Butter Pecan a nice change of pace. Whoever thought of this flavour is a genius! Your guests will thank you! 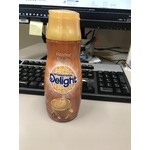 I love International Delight creamers. I find the southern butter pecan flavor is not overly sweet which is perfect for someone like myself who doesnt add sugar to coffee made at home. Since I only add a small splash the bottle lasts me awhile. 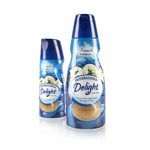 As much as I like the other International Delight flavors I usually get the sugar free french vanilla because that is the only one my husband drinks since he's diabetic. I would probably buy these more often if they were better priced and if they had more sugar free versions of this at my grocery store. Rich, creamy & sweet. What a delight!! My favourite coffee treat. I like that it’s different from the usual flavours and i like being different so i keep it in my fridge. Also it stays fresh for a long time which is a big win compared to milk. butter pecan is my favorit. I enjoy the other flavors. I do not like the irish cream. I wish they more flavors and that they were cheaper. I like them so much that if I do not have it I do not drink it. I love that this creamer has a bit of a saltiness to it. Pairs so perfectly with the rich sweetness of the butter pecan. You don't have to use much to get delicious richness. I'm not a big coffee drinker, I like the odd latte but I have the most unconventional use for this. I put it in my buttercream frosting instead of milk or regular creamer. It works fantastically and has a flavor!